I am in the middle of leading this amazing group right now on this clean eating challenge. It is going so well, we are getting a lot of people asking to join midway through. SO back by popular demand, we are doing another one December 1st! Free grocery list, FREE recipes, FREE support and motivation. Why do it? One week of putting real whole food in your body can change everything. Your mood, Your aches and pains, Your sleep habits, your outlook on life. Why not clear out your body before Thanksgiving? 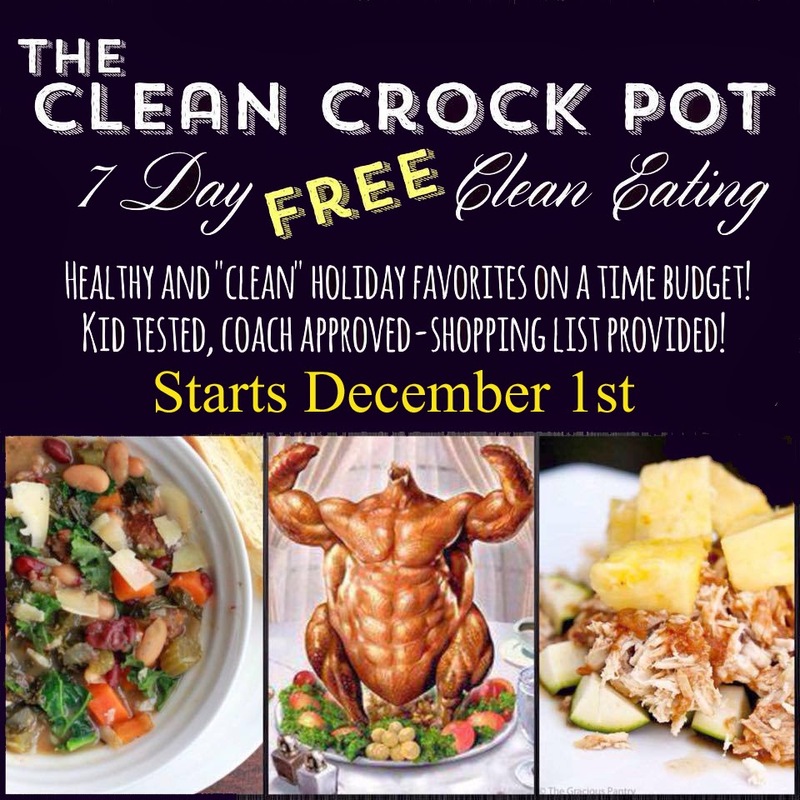 I think you are all capable of eating clean for one week. I also think the way you feel at the end of the week will blow your mind. If you are planning to change your lifestyle in 2015, this is the perfect first step. Life is all about balance. We all over do it on Thanksgiving so this is a great way to balance it out. 7 day this time and it is FREE! Can't beat that price, eh? We will get this party started on December 1st So, mark your calendars!